Summer is still the season when tourists from all over the world visit Croatia. Quite a large portion of sunny hours, endless sand and pebble beaches, exquisite Adriatic sea, healthy Mediterranean gastronomy and charming hospitality of the locals are only some of the reasons why Croatia never fails to meet expectations. There are so many different and exciting destinations in Croatia. In fact, so many that one can go on exploring its beauty for years, and still might not have enough time for all of them. The year of 2018 has gotten off to a good start with that regard – some destinations, like the islands of Šolta and Lošinj, made it to the most influential world lists of top places to visit in 2018. Keep on reading and find out which destinations made it to our list of top 2018 Croatian summer destinations. We open our list of top Croatian summer destinations 2018 with the island of Lošinj. Mild climate, clear sea and scentful Mediterranean nature are recognized as an ideal environment for health tourism. 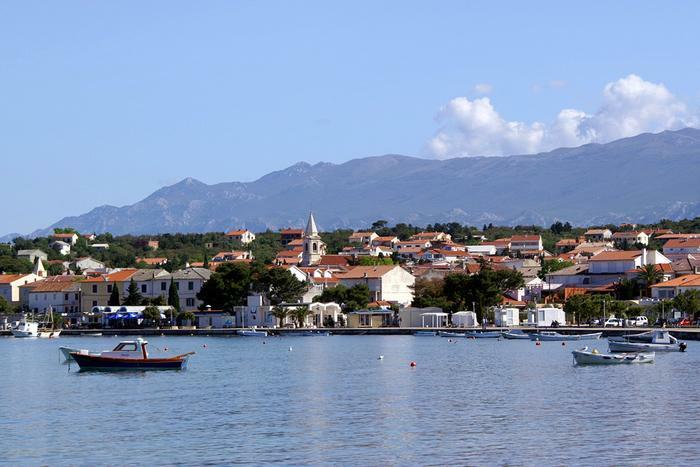 Besides, Lošinj is ideal for fans of active holidays – there are more than 280 km of cycling and walking routes. Another specific thing about Lošinj is the possibility to watch dolphins. Namely, the archipelago of Lošinj is home to about 200 good dolphins. We recommend paying a visit to the museum of Apoksiomen where you can find the most preserved 192 cm tall antic statue of Apoksiomen or the thematic sightseeing point of Providenca connected with the learning path called Apsyrtides. It's no surprise that Lošinj made it to the Food Wine and Travel Magazine's list of Top 11 travel destinations for 2018. 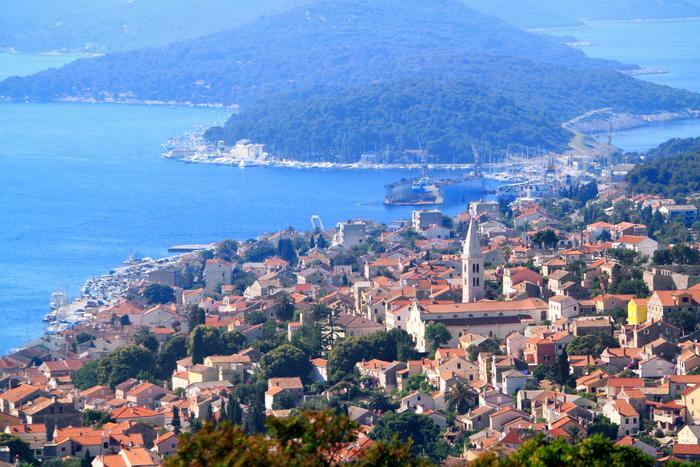 Just like Lošinj, the island of Šolta caught the attention of international travel experts. Šolta took the first place of the Top 50 places to visit in 2018 list made by the magazine Travel + Leisure. Unlike its neighbors – the islands of Brač and Hvar – the island of Šolta is an ideal destination for a peaceful summer holiday. Take your time to explore the bays of Šolta on foot, by bike or boat, take a swim on its amazing beaches, taste the indigenous olives called Levatinka, rosemary honey called Olintio and finish off with Dobričić red wine made of the indigenous dobričić grapes. 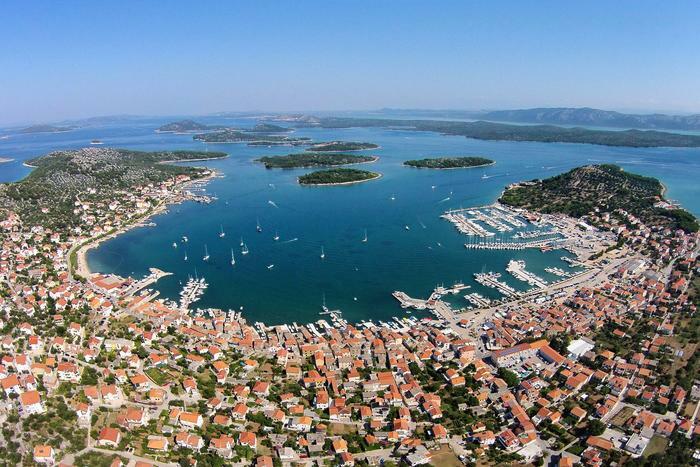 Sailors can find moorings in the ACI Marina in the picturesque place called Maslinica, and fans of active holiday can climb to Šolta's highes peak – Vela Straža – or explore the island by bike. The only sand beach on the island of Šolta is located in the Špikova bay near Maslinica. The island of Pag is a popular summer destination, especially among party lovers who simply cannot miss the Zrće party beach in Novalja. 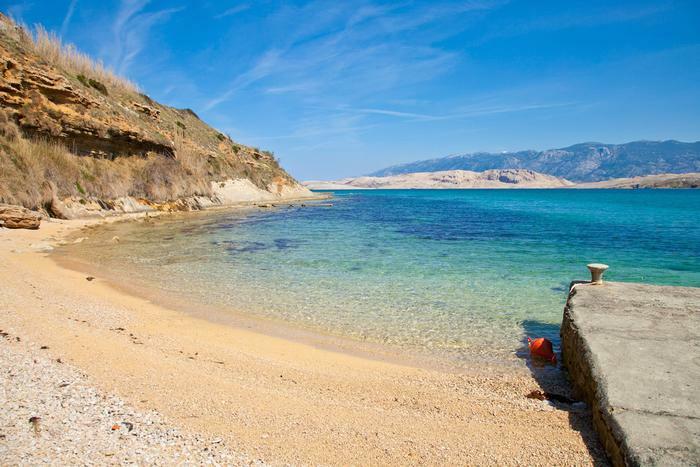 Still, the island of Pag is a great destination for fans of swimming and active holiday. On the south side of the island, you can find a sufficient number of lovely and well-equipped sand beaches (Prosika beach is the biggest sand beach on the island). Pag's scenery makes it ideal for cycling. When it comes to other things to do, the city of Pag is a great option for a one-day visit. Its midevial and renaissance buildings will delight history lovers. Makarska is loved for its long pebble beaches, but it also has a couple of interesting characteristics which differentiate it from other popular Adriatic destinations. One of them is the botanic garden Koština located on the Biokovo mountain, above the Koština village. Koština is home to more than 300 types of plants and different types of scenery. The Museum of Malakolo, located in the Franciscan monastery, is also interesting. It's home to a collection of more than 3000 seashells, some of which were brought in from exotic parts of the world. Pay a visit to the observatory and take a look at the night sky through the telescope. And if you come with children, take them to the Astropark located in front of the observatory. 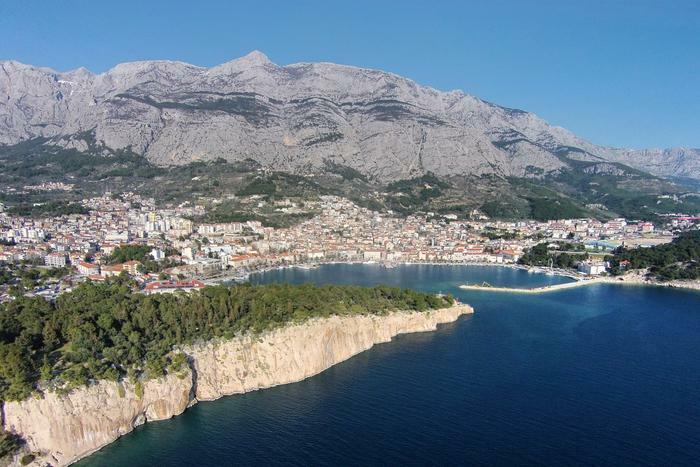 Of course, no holiday in Makarska is complete without a visit to some of the beaches in its surroundings. The most popular ones are located in Baška Voda, Brela or Tučepi. The island of Murter is one of few Croatian islands which are connected with the mainland. 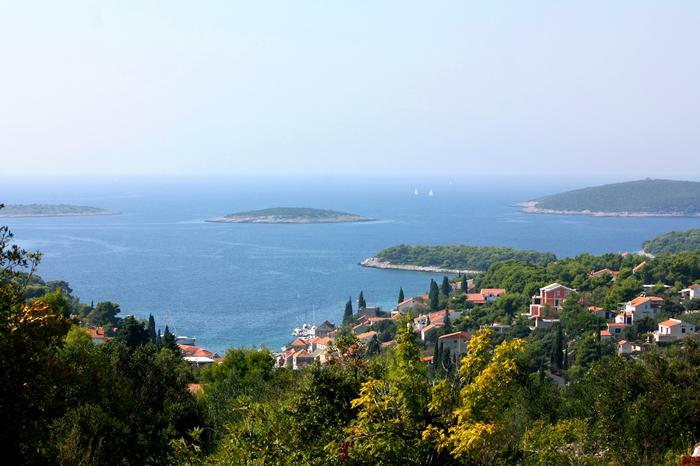 Namely, one part of the village of Tisno is located on the mainland, whereas the other part is located on the island. And the two are connected with a bridge. The island of Murter offers interesting things to do to different types of tourists. Namely, Murter is a place where you come to listen to great electronic music at festivals like Soundwave, Love International, Suncebeat and Defected. Nevertheless, the island of Murter offers enough things to do for families with children: wide sand and pebble beaches like Slanice, Luke and Podvrške. Besides that, Murter is a great starting point to a perfect one-day trip to the Kornati National Park. Visit the Park and explore it by bike or on foot. There are eight marked hiking paths. Take a break from walking at one of the Park's restaurants.